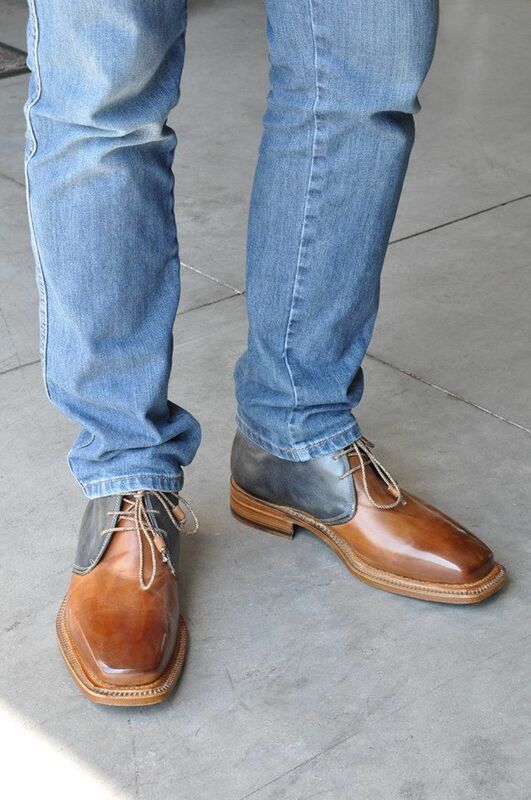 Chukka boots are the ankle length boots which are a cross between your dressy oxfords and basic boots. They are really trending right now reason being they are really functional. There are basically two parts of chukka boots i.e. the sole of the boot and its body. Suede and leather are the only two options available as these have to be sturdy. So if the body is suede, the sole is usually rubber. These are more casual for a casual day out paired with chinos. In this case do cuff your chinos right to grab the attention to your boots. Also, a shirt or sports jacket look with chinos is the best suited outfit for casual chukka boots. Go for basic shades of tan or darker shades of blue and grey for these. You may even try black but black chukka boots are not very versatile. Leather body chukka boots often come with leather sole. This ensures that the look is complete and refined. The leather is hard and very sturdy compared to any other leather shoes. Also usually chukka boots do not have any fancy patterns on them reason being they were meant for functionality and not style. So even though they are a style statement now, it is important to respect the history! Shades of tan are the best option here. Avoid black. Also, even leather chukka boots do not replace your dress shoes, remember that! These are for a semi-formal look like a date or event. You can even pair them up with denims but it should be a proper fitted dark shade of denim. Get a pair of chukka boots if you wish to lift your wardrobe beyond the basic! Let us know if you like this fashion statement in the comments below.